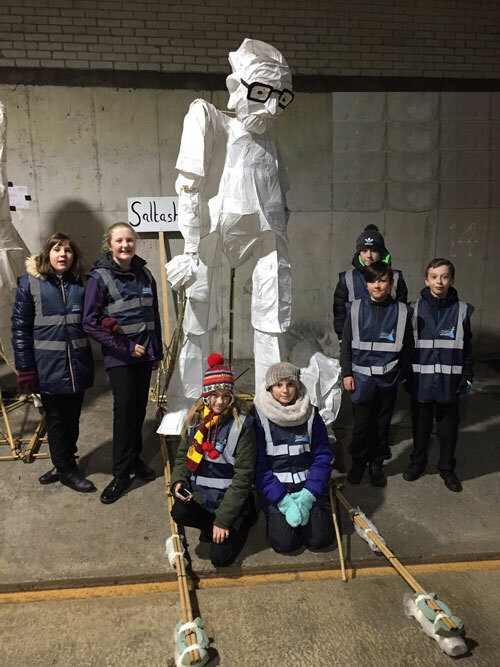 A group of Year 7 students from saltash.net community school have taken part in this year’s Truro City of Lights lantern festival, parading their lantern through the streets in front of around 30,000 people. The students carried a huge lantern representing a grandfather who had fought in the First World War, holding the hand of his grandchild, as part of the Remembrance theme. The group worked with local artist, Jill Hudson, to complete the lantern when she visited school last week. Students walked for over an hour through rain and hail to show the crowds their fantastic creation. 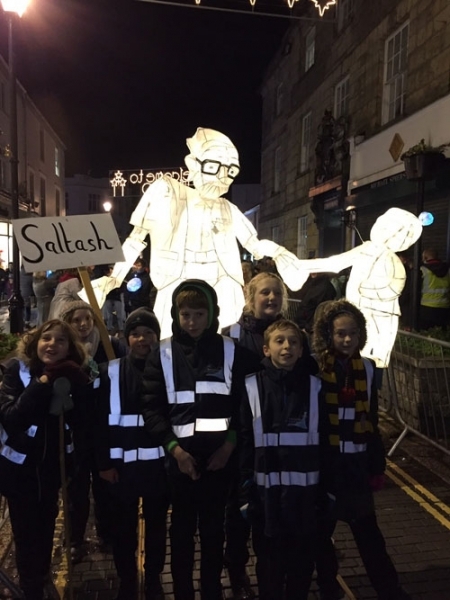 The students will also carry the lantern through the streets of Saltash on the 1st December at the Christmas Lights Switch-On – so if you didn’t catch them on the news or in Truro, then be in Saltash on the 1st! Mr Oakes, who worked with the students on the project, was delighted with how the evening went. “The students represented the school brilliantly and did a sterling job. We hope they are as proud of themselves as we are of them,” he said.